It was not too much of a surprise to me that Malaya Watson was in the bottom three for the evening, but I was SHOCKED that MK Nobilette was. Malaya was rattled that she was there. I remember during the top 13 picks that she kept saying to her fellow contestants that because they were in the “top 10” they were going on tour, they were going on tour. Someone needs to clarify for her that the people going on tour are the top 10 after the public votes, and the top 10 from 13 is left. Those are the people going on tour. Rounding out the bottom three was Kristen O’Connor. I didn’t dislike her performance, although I had heard better, but it made sense. Although Dexter and CJ were in my bottom 2 (along with Malaya for the number 3 spot), Dexter and CJ are immensely likable. Part of winning American Idol is to connect with the audience. The audience is tremendously forgiving if their favorites have off nights where their vocals are not spot on. The “singing for your life” thing should be trashed. We all know the judges have their favorites and we all know that they are not going to use the save this early in the competition. It is just cruel. The judges can make their decision about who should get to stay should American people vote one of their favorites off, but I just cannot watch someone have to sing a song when their hearts are in their throats. You know what else needs to be trashed? The group number. I failed to mention in my Top 13 Performs blog that American Idol needs to adjust the performance show so that we can actually hear what Randy Jackson has to say about the contestants. You could not hear it at all over all the applause in the audience and my closed captioning couldn’t even get it. That should tell you something. Candice Glover was on fire and I adored her new song. Jason Bugg was interesting. I had never heard his music before. We say goodbye to Kristen, but she should be tremendously proud of how far she came in the competition. I’m very upset. I don’t understand some of the judges picks. But let’s start with what we have before I go on a rant. I like the new stage and the new feel. Jennifer Lopez looked stunning tonight. Harry and Keith are also looking great. Only 10 people will sing based on who impressed the judges saw during dress rehearsal and 5 will be going home. This year Randy Jackson will be the mentor and conduct workshops. He wants to see the contestants learn from their experiences the prior week. The workshops bring together vocal coaches, musical director Rickey Minor, stylists, movement coaches, and….spiritual advisors (?????) Billy and Julie Mauldin. Well, okay, but what if we have atheists among the group? Also coming to share wisdom with the contestants are Adam Lambert and Chris Daughtry. Majesty Rose York: Adam Lambert happens to be her favorite American Idol. She sings “Happy” by Pharrell Williams. Adam thinks it is the perfect song; it fits her personality and style. I thought the guitar is more like a crutch for her right now as I watched her performance. I think she would have done better without it. Her clapping was out of time with the audience (or vice versa) and it was distracting. She ditched the guitar finally towards the end of the song. The vocals were great though. Jennifer thought her voice was amazing. The whole place was on their feet and it was a very good start. Harry said she did a fantastic job. Keith said she has this breezy thing about her and had good vocal range. Kristen O’Connor sings “Turning Tables” by Adele. Chris Daughtry said he got chills on her first note. He offered her some great practical advice regarding stage presence. As I listened, I heard weird breaks in her phrasing and that she ran out of breath (it seemed). But there was nice control in her voice towards the end. Harry thought it was a really powerful performance. Keith said she has killer range but the breathing issues were likely from nerves. However, she got control of it halfway through. Jennifer felt she had the most special tone to her voice. She could hear her recording records tomorrow. The timing was off with the band but about halfway through she locked in and got it together. Briana Oakley. “Warrior” by Demi Lovato. Vocal coach Antonio Sol said that in her movement she was either not feeling it or seeing it coming through from within herself. I think she is still having connection problems. I used to be a big fan of her voice, but there are times where there are issues but then she shows a good stretch for a little while. It was inconsistent. The part I had issues with made me want to close up my ears. Keith loved the clarity in her tone and compared it to Irene Cara. The last quarter of the song she found the voice. He reminded her that she cannot be smiling when she is talking about being a warrior. Jennifer said she looked scared. She had the sound of a young Whitney Houston. The thing that has to come together is the performance quality and the connection to what she is singing. Harry said the high notes are not triple axels. She did a fine job but to be wary of it (the high notes) just because they get applause. Jena Irene (that’s GINA, not JENNA). She wants to sing “Paint It Black” by The Rolling Stones. Chris Daughtry said she has to work on her confidence. There were moments where she was questioning everything she was doing. Oh poor Randy. He pronounced her name incorrectly. She is a rocker girl!!! I loved it. She had a very powerful voice. It seems she took Chris’ advice. I think she almost sounds like Ann Wilson from “Heart.” At this point, this is my favorite of the night. Jennifer said it was sultry and one of her favorites. Harry asked her in one sentence what the song was about and she replied, “Darkness.” Keith said she was one of his favorites since the audition cities. He likes how she holds the microphone stand. Bria Anai. She hopes to get some styling advice. Adam said there was a lot of arm pumping going on. She sang Melanie Fiona’s “Wrong Side of a Love Song.” I had goosebumps. The last note was rough in her lower range but otherwise I thought it was fantastic. Harry, however, thought it sounded like she was shouting, but otherwise was fantastic. Keith said to try not to overshoot the runway, but she still has the lips (a reference to her signature style). Jennifer said she had “star” written all over her. She needs to work on staying in control. Jessica Meuse wants to sing “Drink A Beer” by Luke Bryan. Chris Daughtry felt her voice was better than her guitar playing and wanted her to step away from it and challenge herself. However, she opts for the guitar. For me, sometimes she sounds like Stevie Nicks. She is in the middle for me in terms of where I like her. However, it was very nice to hear something soft instead of going big. Jennifer said she was nervous; however, the soft and the heart she connects to. She loves her country tone. Harry said she brings something different to the table that is fresh and exciting. Technically she needs to watch for intonation, too. She goes sharp (per Harry maybe nerves). He wanted to feel what she was singing about, but again it may be nerves. He felt there was a wall between them. Keith said he was going to root for someone from Slapout, Alabama. There was, however, a disconnection between lyrics and the facial expressions. 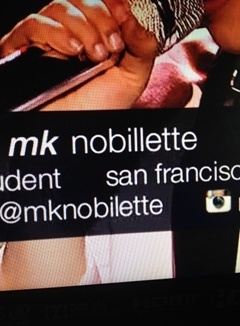 MK Nobilette. Her challenge is to stay connected to the song. She chooses “All of Me” by John Legend. Her lower range is rough. I liked her voice about 75% of the time. She had the emotional connection to the song so took those words and her challenge to hear. Keith said it was the perfect song choice. Jennifer said it was making people feel something. It was true sentiment and she loved it so much. Harry said she was an elegant, articulate singer. The defeatist attitude he saw during Hollywood week was gone. She belonged here. Malaya Watson. Adam loves her runway style and Chris says her voice is stupid (good). I had goosebumps. She sang “Hard Times” by Ray Charles. It was the best performance of the night. She has such a personality for such a young woman. Jennifer says the second “baby” of the night. Jennifer said she is one of those powerhouse singers and is amazing. Harry wants to eat a donut (it was so sweet). He looks forward to watching her settle. Final part of my rant. How can these judges put through Marrialle Sellars time after time after time and not see the talent in Jillian Jensen is so much more? I just don’t get it. It is the same thing I felt about Savion Wright being cut. I will say a prayer that she is one of the judges’ wild card picks. The comeback kid!!! !